It's hard to believe that this all started shortly after my wife and myself lost our jobs on the same day. The five of us (we have three kids) found ourselves without a house, car, and everything else that went with them. We joined joined Extra-Life as a means of taking the focus off us and putting it on someone else who could use our help. We raised $233 our first year. Fast forward a few years: we have had an amazing journey and we know that we are not done yet. 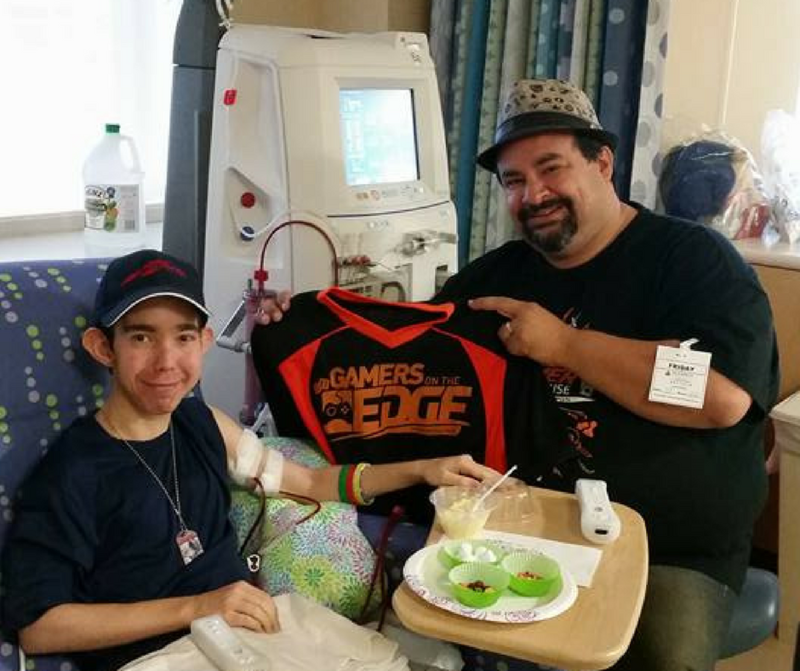 Donated over $70,000 to Children's Miracle Network Hospitals, take care of all the game rooms and gaming consoles at our local Johns Hopkins All Children's Hospital, and are now in the process of working to help other hospitals in Florida, Georgia, and Puerto Rico. We enjoy doing what we do but want to spend more time working directly with the kids and their families. Your donations made here will allow us to do more of that and have a bigger impact in the lives of others. Please consider making a one time or monthly donation in order to help us Make a Difference and we will be "eternally grateful" (to quote Toy Story).